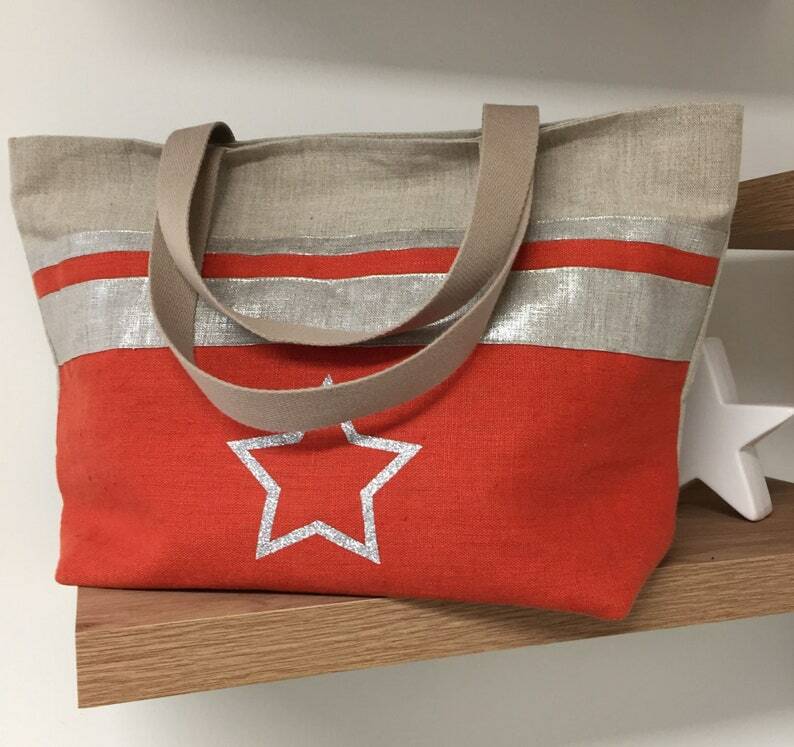 Linen tote bag, canvas tote bag, shopping bag or beach bag in red and silver linen for women, with glittering star... A practical bag for all occasions! Made of natural linen canvas, it is decorated on the front with a pure washed red terracotta linen (customizable) and an iridescent linen with silvery reflections. 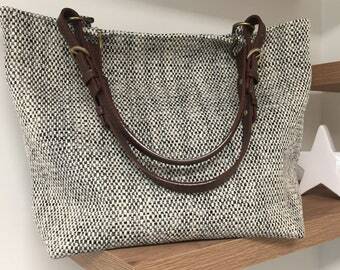 There's nothing like a large shoulder bag for a shopping trip, a sunny walk or a trip to the seaside! Because you bring with you lots of essential stuff, it must be big enough, but also robust (linen has this essential quality! 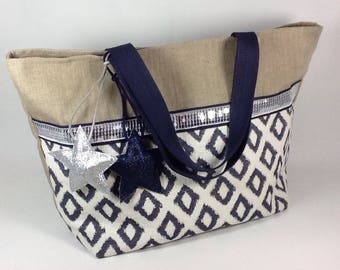 ), and practical with large handles to carry it on your shoulder! It is lined with a tone-in-tone cotton fabric and a large inner zipped pocket in linen matching the front, for your papers, keys, telephone, etc....! It is equipped with two handles in beige cotton strap that allow the shoulder to be carried easily! You will receive your bag and its pocket with a tracking number of your package, nicely packaged and well protected, ready to offer! Follow our news on Facebook and Instagram and discover the latest news in preview!